I’ve spent a lot of time talking about how much I love the Japanese countryside, but there’s another part of Japan that’s dear to my heart: the islands! I spent two years teaching English on two little islands off of Kyushu, and I have to say there really is something special about Japanese island life. 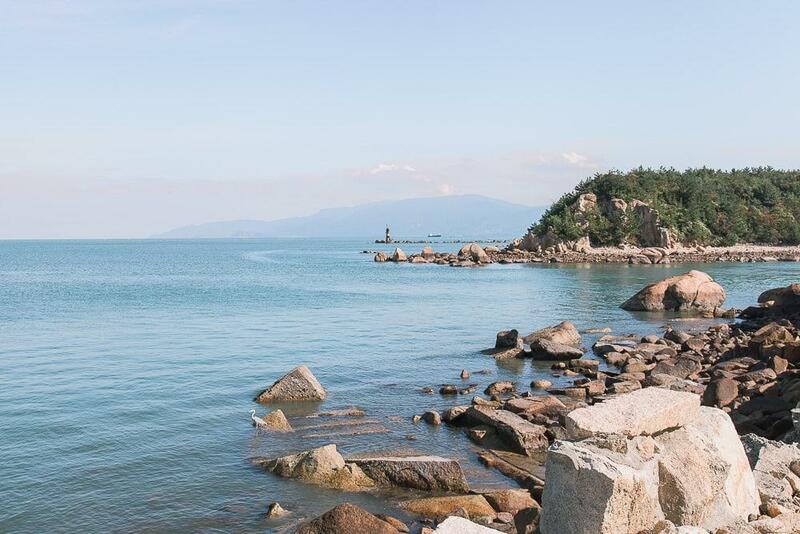 And I love how each little island I’ve visited in Japan has its own unique character – something that has made me eager to see more and more of the country’s nearly 7,000 islands. 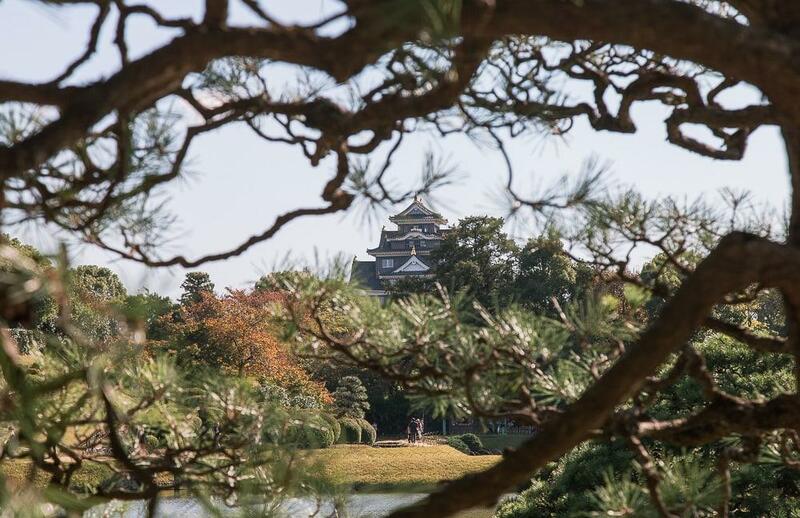 And on this particular visit to Japan I had my eyes on a few of Japan’s art islands. I had visited the most famous art island, Naoshima, many years ago, but since then I’d heard that other islands in the area had turned themselves into open air art museums and I was curious to see if they were as lovely as Naoshima. 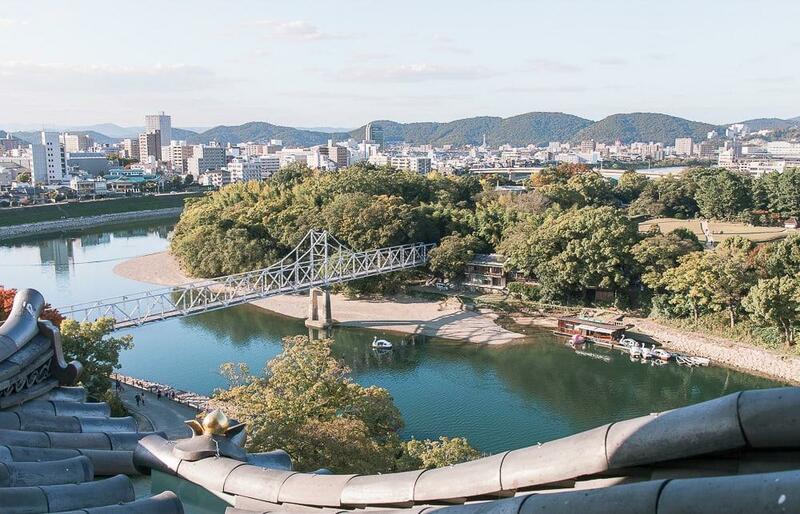 The first on my list was Inujima, which translates to “dog island” (hence why it was first on my list, duh), and it also happens to be close to a city I’ve been dying to explore for years: Okayama! So I hopped on the shinkansen bullet train from Tokyo and some three hours later found myself in Okayama. 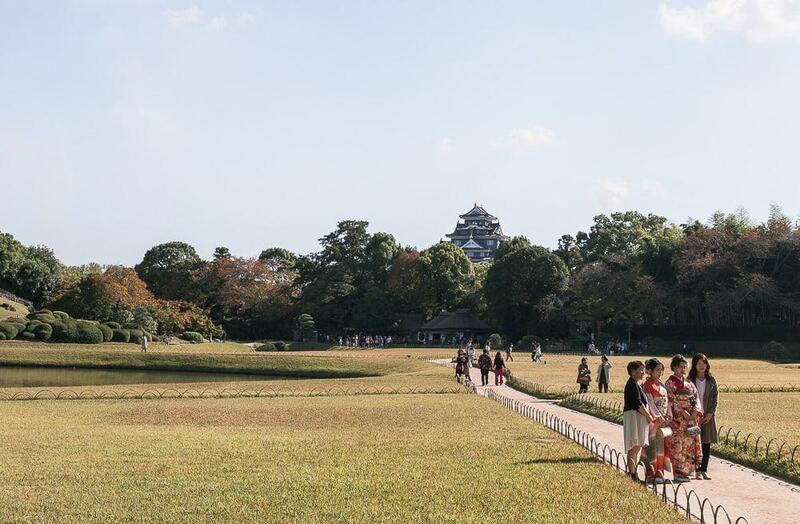 I would spend my first day exploring Okayama’s sites, and then the next day I planned to venture out to Inujima. 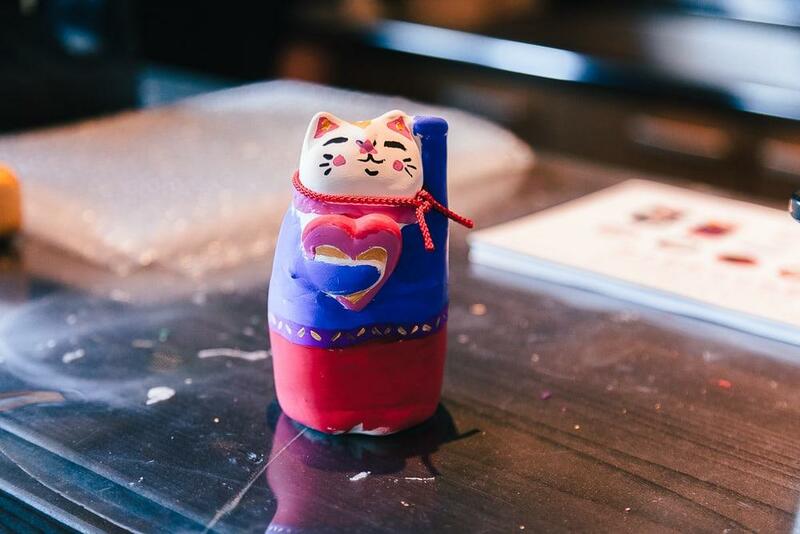 Have you ever gone into a Japanese house or restaurant or hotel and seen a little cat figurine with its paw up in the air? I’ve seen so many of them, but I never actually knew what they were for. Well, the Manekineko Art Museum is dedicated to these cats! 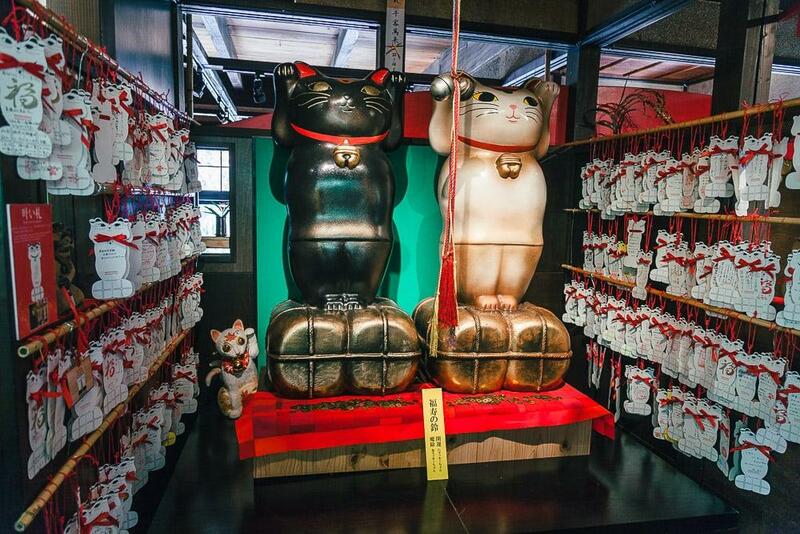 The museum has a huge selection of maneki-neko, and you can learn all about where they come from and what the different poses and colors represent. They also have a gift shop with lots of adorable maneki-neko, including descriptions of what they mean (also in English). 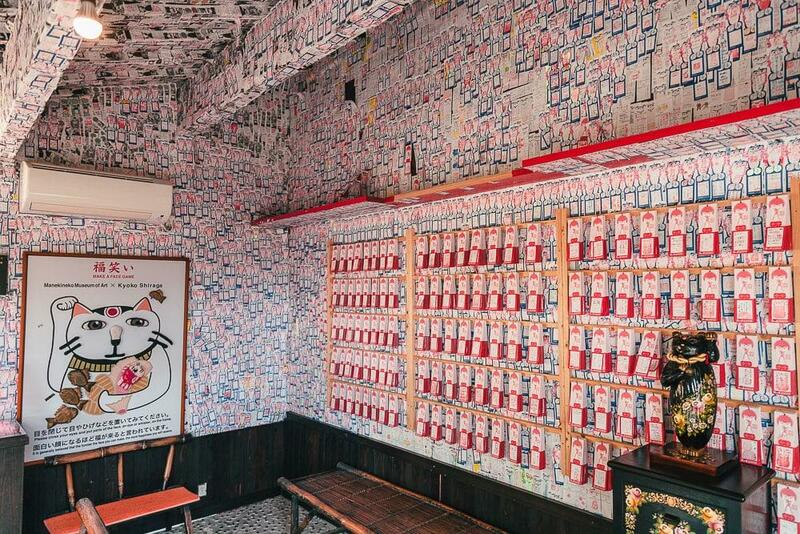 And then you can go into the adjacent building to first write down a wish and pin it on a wall of wishes, and then go and paint your own maneki-neko. 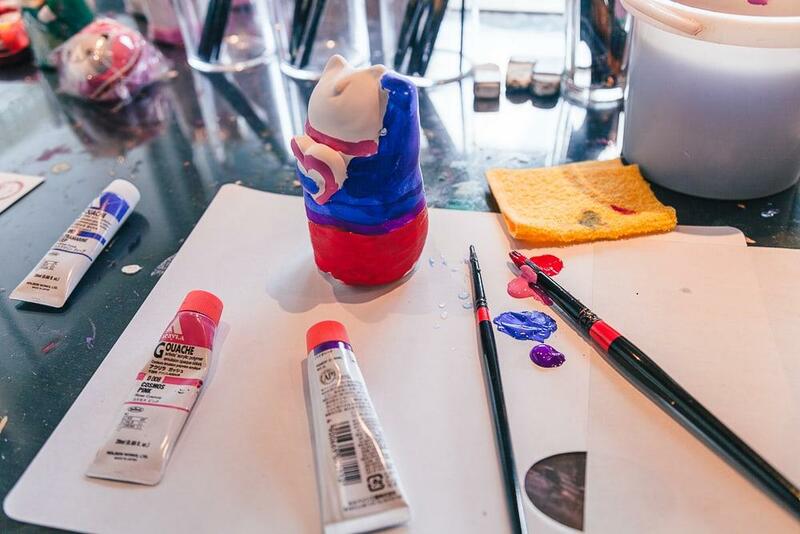 I’ll admit this was a more exciting plan in theory than when I actually sat down to paint my little ceramic cat, as I suddenly remembered that I’m not very good at painting? Ah well, it made for a cute, if also quite ugly, souvenir from Okayama. One of my favorite Japanese dishes is katsudon, which is basically just a bowl of rice topped with a pork cutlet, egg, vegetables, and delicious sauce. It might not sound like much, but oh my goodness my tummy is rumbling just thinking about it. So when I learned that Okayama has its own special version of katsudon called demikatsudon, I had to try it! Demikatsudon uses cabbage instead of eggs, and the sauce is – I actually don’t know what it is, but it is unique and yummy. For the most authentic version of this Okayama specialty I went to the restaurant where it was invented, Ajitsukasa Nomura. It’s a cosy little restaurant but of course gets busy during lunch because it’s so famous, so try to come early. There’s a vending machine in the front where you can purchase a ticket for your lunch set (they also have an English menu to help you out), and then when you’re seated you simply hand your ticket to the waitress – no Japanese necessary! 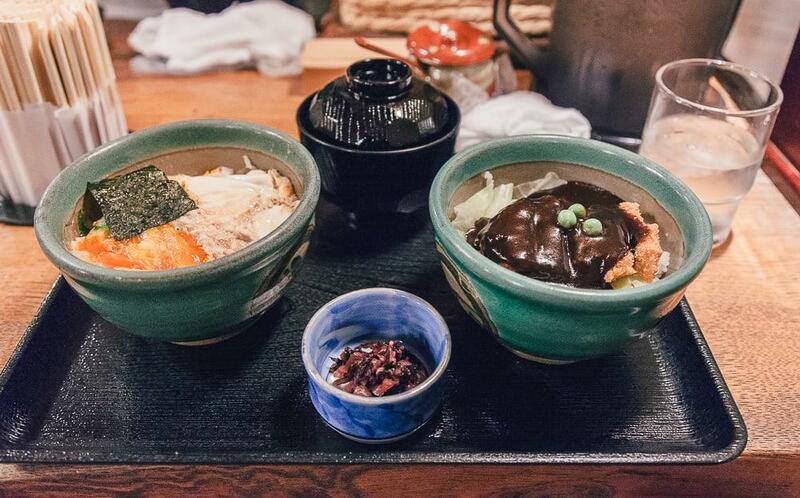 I ordered a set with a traditional katsudon (on the left) and a demikatsudon (right) for 1,100 yen, which also came with miso soup. Guys, it was so good. After lunch I took a street car up to Korakuen Garden. Google Maps can help you find which tram to take (just look up directions to the garden and it will give you the public transport option). The ride costs 100 yen, which you pay at the front of the tram when you get off. 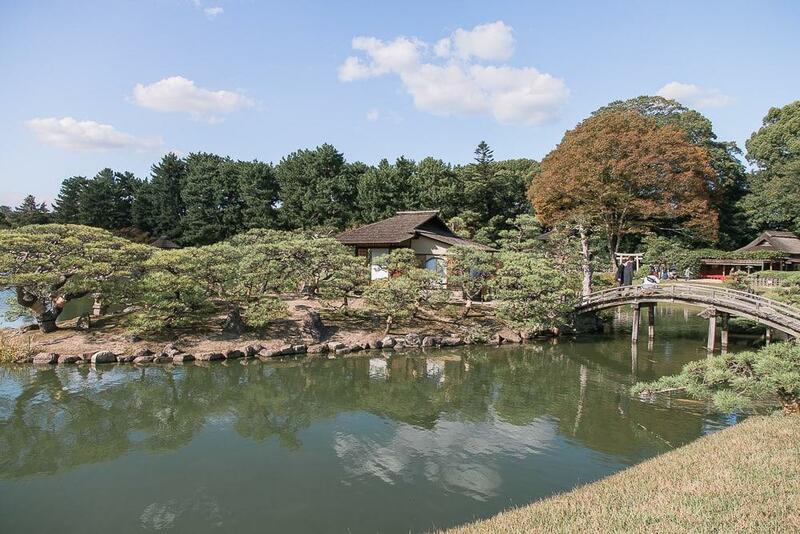 The Korakuen Garden near Okayama Castle is apparently considered one of Japan’s top three gardens. 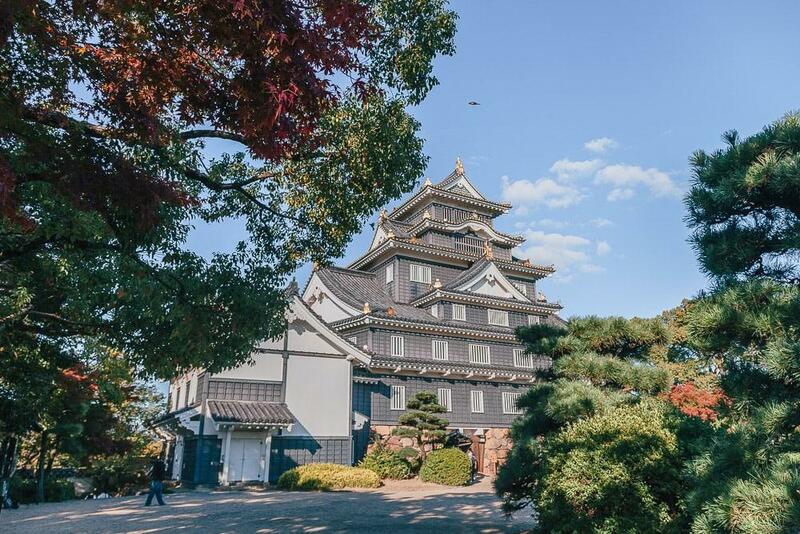 You can buy combined admission for the castle and garden for 560 yen at the garden gate, and then make your way through the gardens and over to Okayama castle. The garden itself is huge and since I was there on a beautiful sunny day there were so many couples and families doing photoshoots there, which was fun to watch. 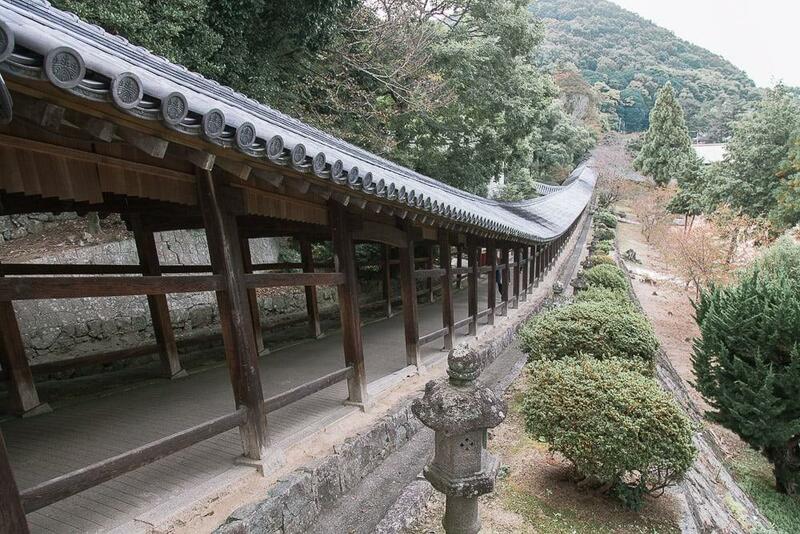 It was completed in 1700 and still has the same style from back in the Edo Period. 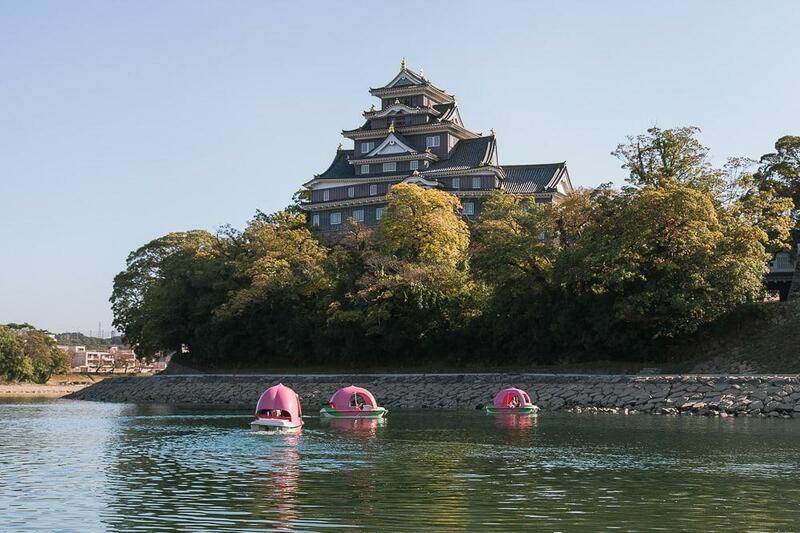 When you get up to the water in front of Okayama castle you can also take a pedal boat ride in the peach and swan boats, which looked like a fun way to get a view of the castle. 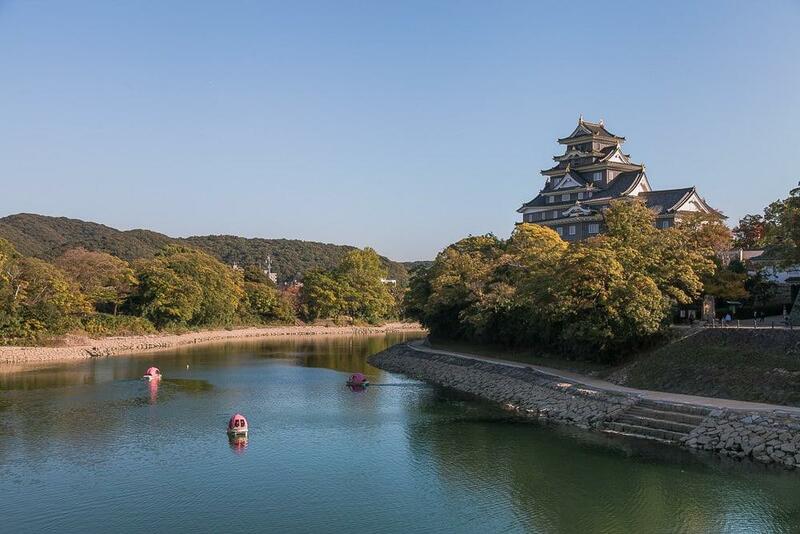 Probably one of the main things I was excited to see in Okayama was Okayama Castle, completed in 1597, and it didn’t disappoint. The exterior is super impressive, and you can walk up to the top floor to see some amazing panoramic views of the city. But one of the things I really loved about the castle is that it has a kind of casual vibe inside. 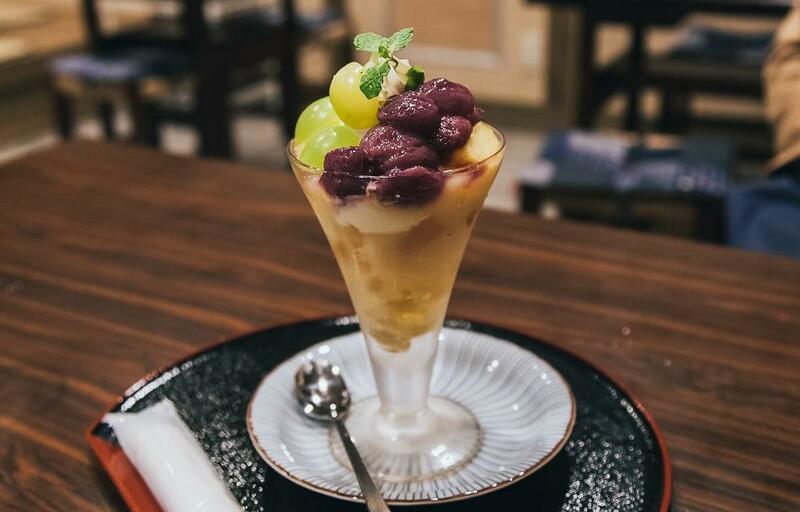 There’s a Bizen pottery workshop where you can make your own pottery, a dressing room where you can try on a traditional kimono and take photos (for free), and even a little cafe serving Okayama’s famous fruit parfaits! Of course I tried the fruit parfait. It was so good. 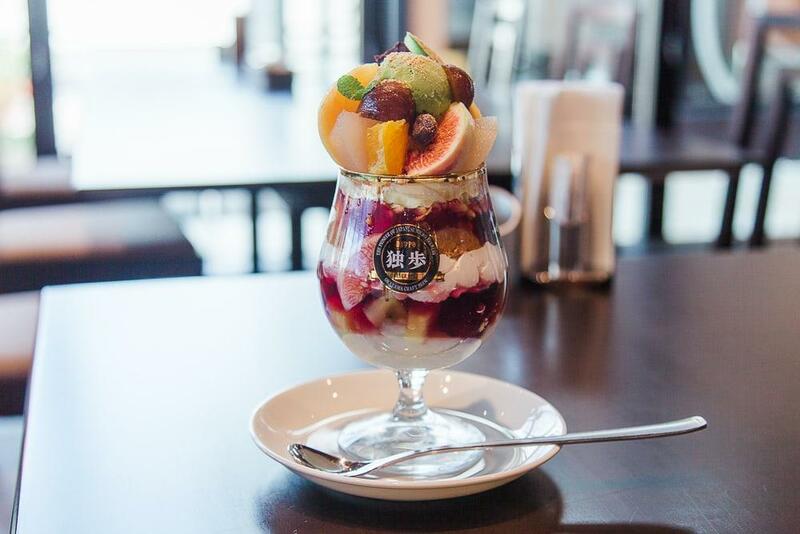 Like, that probably sounds like an exaggeration because a fruit parfait is a fruit parfait, but actually I really do think there’s something so special about Japanese fruit – especially the grapes. Definitely try it if you get the chance! 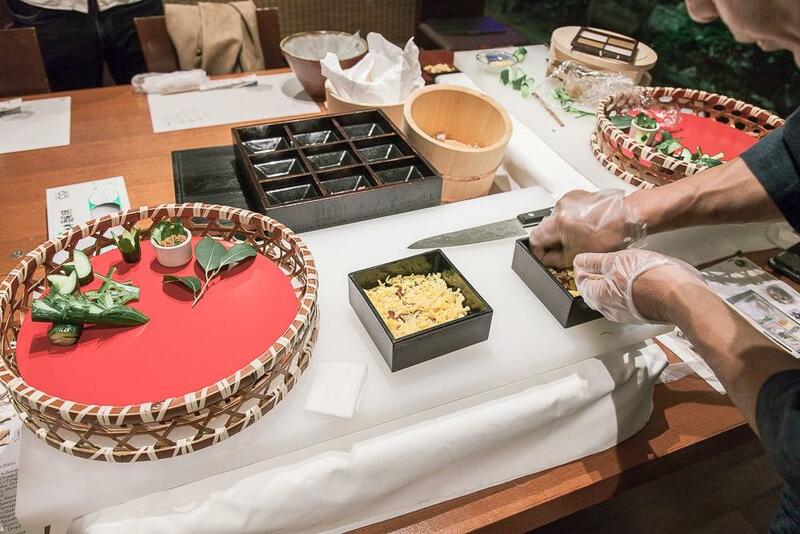 I’ve never tried making sushi before, so I was excited to attend a little workshop + meal at Kidoairaku. The sushi chef didn’t speak much English, but he’s taught lots of foreigners before so he was good at communicating without words. 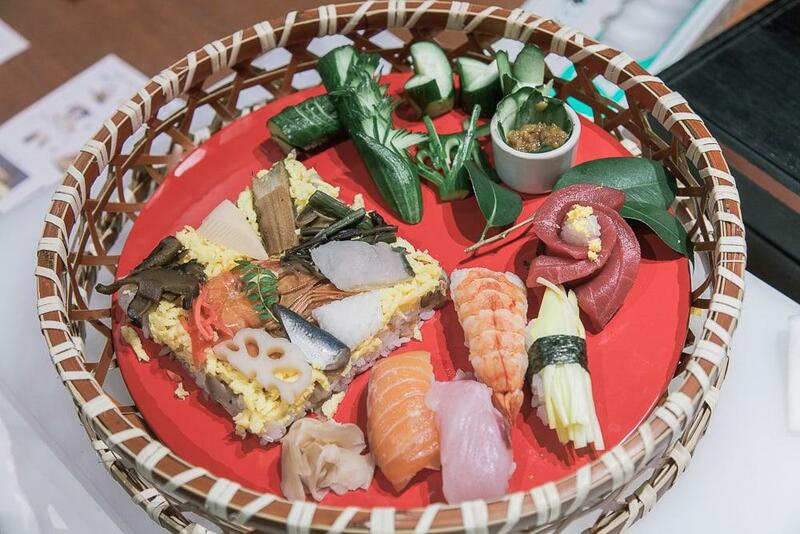 I made some traditional sushi as well as Kaeshizushi, which is a local version with a very special story behind it. He has a little video explaining the meaning behind this sushi and I’m not going to spoil it for you, but it is so sweet. Um, mostly though I just learned that making sushi is super difficult, and my knife skills are poor. It didn’t help that I was nodding off from jet lag so… I won’t say I was a star student? It didn’t really matter though, it all still tasted good. The workshop/meal cost 3,780 yen, which considering how much sushi I made (more than in the photo), would have been a good deal for the food alone, even without the workshop. At least when I think of how crazy expensive sushi in Norway is, ahh. I spent the night at the Business Hotel Shinko, which is pretty much exactly like every other business hotel I’ve stayed at in Japan – no frills but perfectly nice. It’s about a five minute walk from Okayama Station, which I found very convenient. In the morning I checked out of the hotel and left my luggage to pick up later in the day, and then I headed to the Kibitsu shrine. Visiting the Kibitsu-jinja was at the top of my list for Okayama, because the experience I had planned there sounded so cool. And it was! The shrine itself is beautiful, but what’s so special is that you can pay to participate in a blessing ceremony and then get your fortune told as part of the Narukama Shinji ritual. 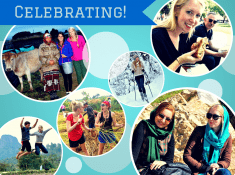 And don’t worry, they’re incredibly welcoming to foreigners and people of different faiths – everyone I met there was enthusiastic and super helpful. When I arrived I went up to the reservations desk on the left hand side and asked to take part in the blessing ceremony. They gave me a piece of paper to fill out my information and prayer – they had an English guide to help me do this. I wrote my name, birth date, home, and prayer here, and then chose the amount I wanted to pay (I paid 3,000 yen, the cheapest option). I also asked to take part in the Narukama Shinji ritual after the blessing ceremony. Then I waited in a small room with a bunch of families (I think most people were here to have their children blessed), and after a while a priest called our names and ushered us into another room for the ceremony. 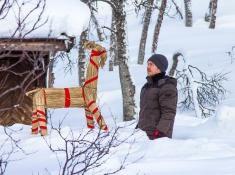 He chanted all of our prayers, and it was so fun to hear him call out “Shirubia Rorensu from Raurando, Noruway.” We were each given a branch and at the end of the ceremony placed them on the altar with some claps and bows – I just followed what the people next to me were doing. After this most people were done, but I wanted to do the Narukama Shinji ritual to see if my prayer would come true! I was shown down a corridor into another little room for the ritual, and since I was the only one participating they let me take photos. 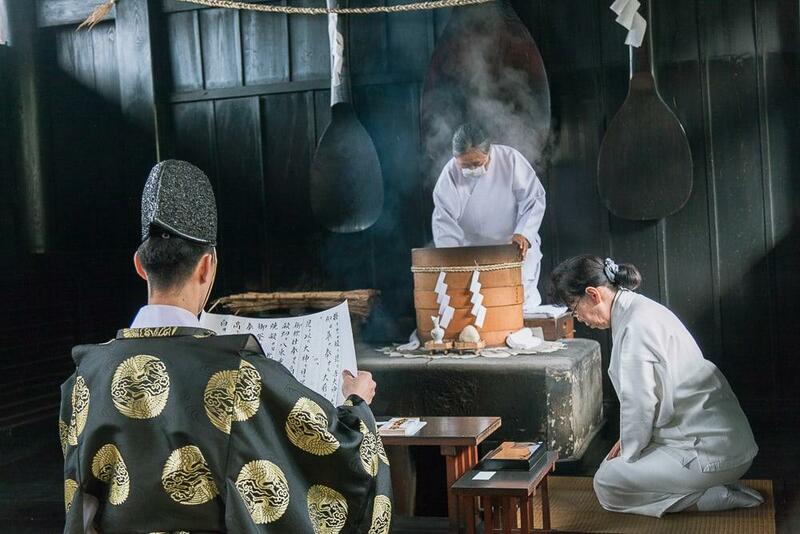 Basically, in this ritual a steaming basket with rice is placed inside a pot, and the sound that it makes determines whether or not your prayer will come true. 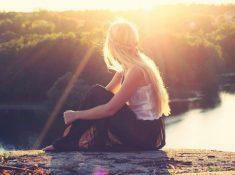 If you hear a sound and have a good feeling, then your prayer will come true. Apparently the local university has tried to figure out why the rice sometimes makes this sound, and why sometimes some people in the room hear it and others don’t, but they can’t actually explain it. I was intrigued, but when I did here the sound filling the room it almost scared me a little – it really feels like something supernatural! I hope that doesn’t mean my prayer won’t come true, especially as I was praying for the well being of my family. Though everyone said it was a good sign that the noise was so loud! Before heading to the port for Inujima I had an early lunch at Doppo-Kan, a restaurant attached to the Miyashita Sake Brewery, which produces sake, whiskey, and beer. 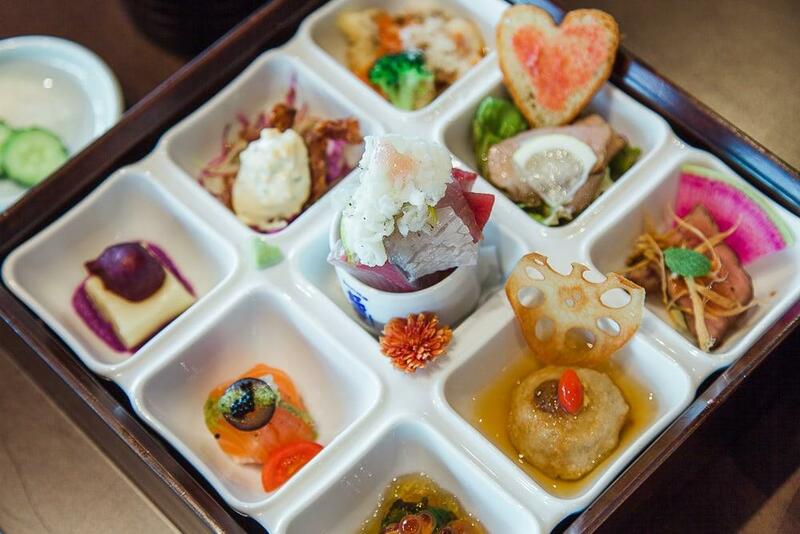 I’m not a fan of sake but I did enjoy sampling the fruit beers, and my lunch was beautiful (and delicious). And then I headed to Inujima! 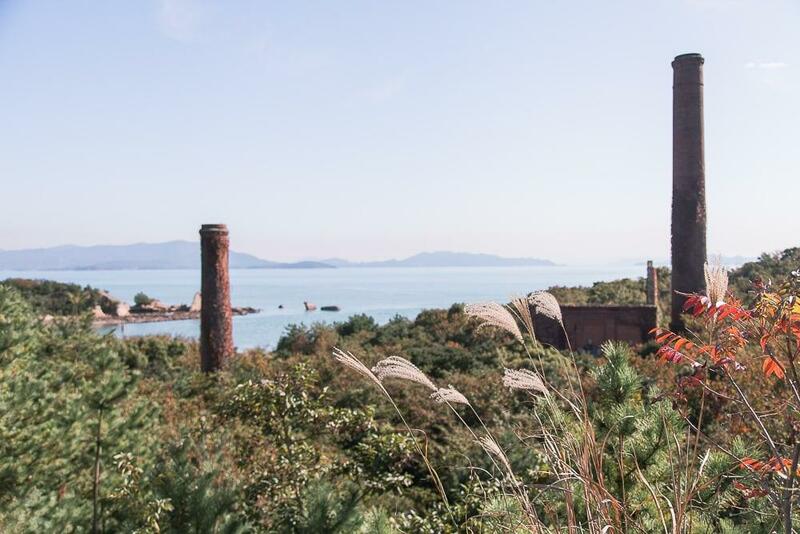 Inujima is one of a group of islands I planned to visit which take part in the Setouchi Triennale, an art festival held once every three years, when new exhibits are set up around the islands. 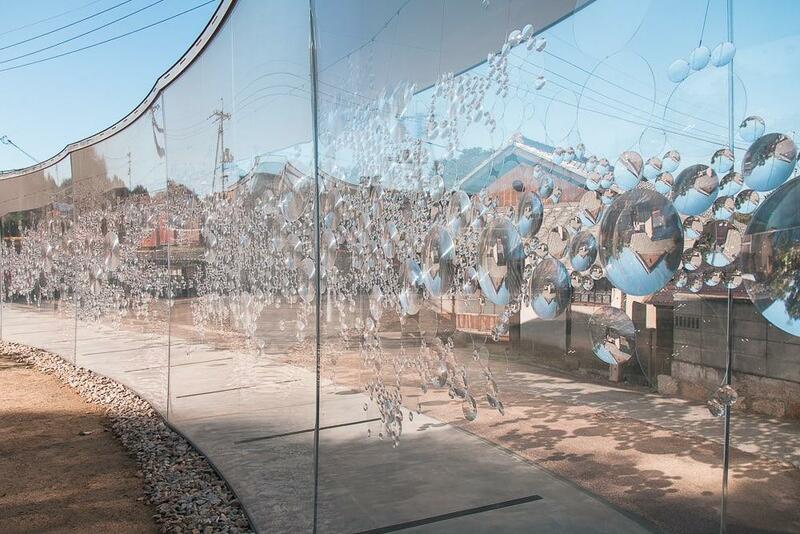 This means that you can wander around the island (and Inujima is so small that you really can wander around the whole island) and stumble across modern art pieces. Some are integrated right into the nature, while others are housed in gallery rooms. There are signs pointing you towards the various art pieces around the island, though I didn’t pay them much attention and instead enjoyed being surprised by what I found. When I arrived on the island I went to the Inujima Island Seirensho Art Museum ticket office (right next to the port), where I paid 2,060 for access to the museum, the Art House Project galleries, and the Seaside Inujima Island Gallery. There are also lots of free works of art scattered around the island if you don’t want to pay, but I found the Seirensho Art Museum especially worth the ticket price. 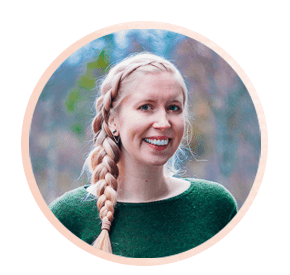 Like, I’m not usually a fan of museums, which is largely why the art islands appeal to me – I like wandering around a beautiful island and stumbling across art pieces instead of shuffling through stuffy gallery rooms of a museum. 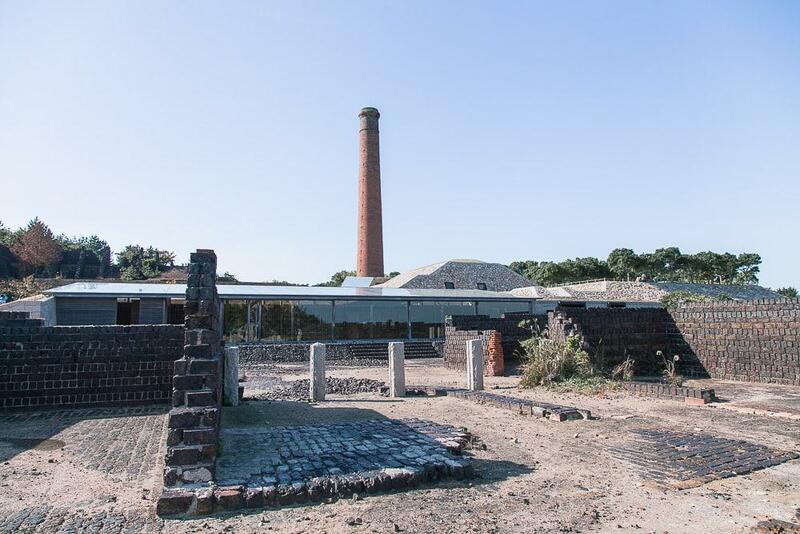 However the Seirensho Art Museum is housed in an old copper refinery and guys, it is creepy. I don’t want to spoil it for you because not knowing what I was in for definitely added to the whole experience, but like, I was pretty terrified as I walked through the museum. In a good way though. 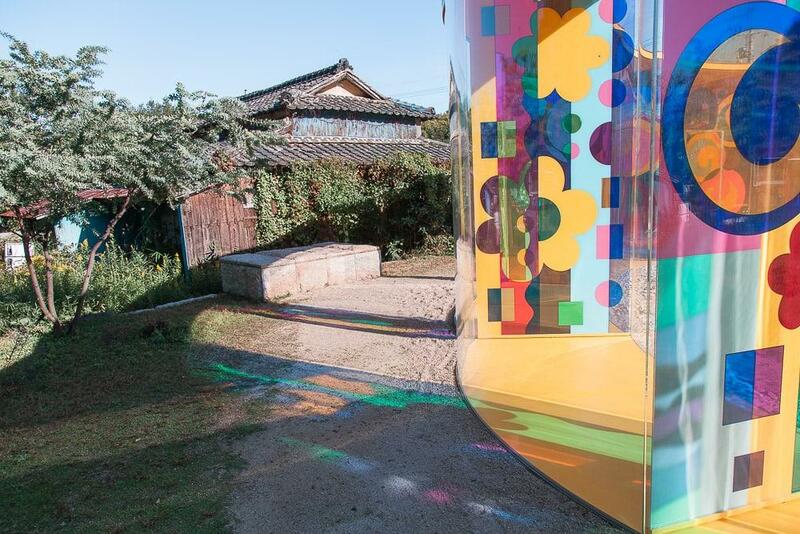 Over the next couple of days I visited four more of the islands participating in the Setouchi Triennale, so I’ll write more about the festival in my next blog post, as this one has already gotten quite long! From Okayama, take a train to Saidaiji Station (20 minutes, ¥240). Outside the train station you can catch the bus for Higashi Hoden, and get off at Nishi Hoden (55 minutes, ¥510 – pay when you leave the bus). There’s also a direct bus to the port from Okayama for ¥750, but it doesn’t run very often. Then take a ferry to Inujima (10 minutes, ¥300). You can find the ferry schedule here. 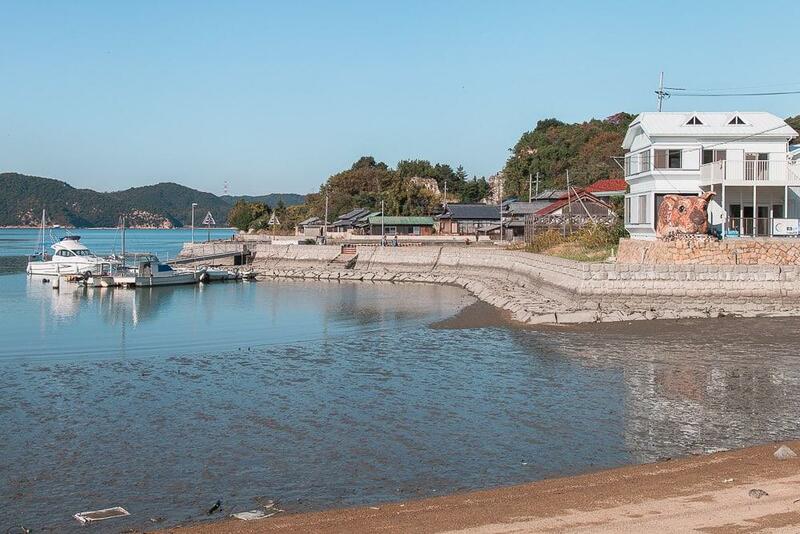 You can also get a ferry to Inujima from Naoshima (55 minutes, ¥1,850) and Teshima (25 minutes, ¥1,230), two other art islands. You can find the ferry schedules here. Great review. I live in Okayama, and your report is about the best I have seen. You got many great spots. 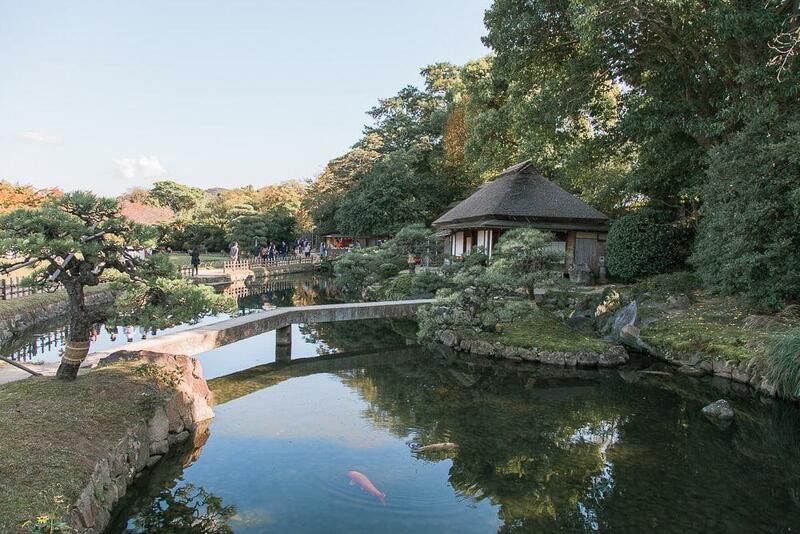 However, people must also visit the Bikan District in neighboring Kurashiki. Oh cool, thanks for the tip! Thank you so much for the guide to get to Injuma! 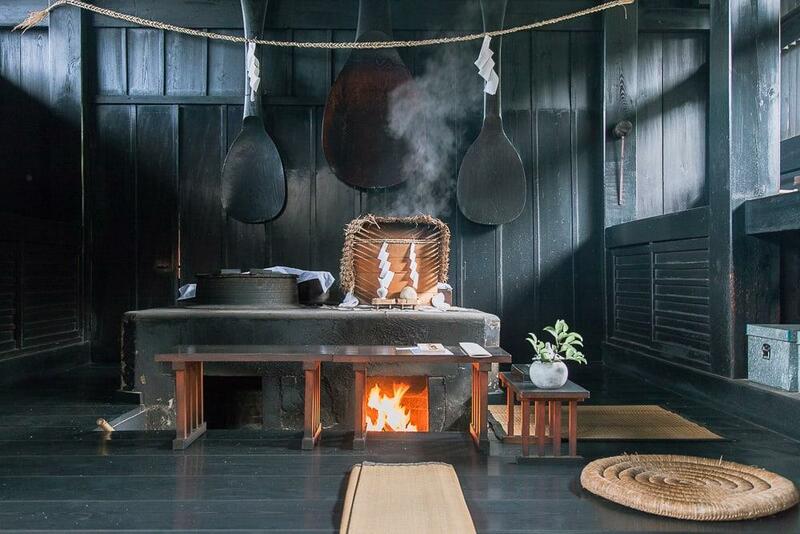 I’m so curious about the island and can’t wait to visit is and the Seirensho museum. Thanking so much for the information to get to Inujima. 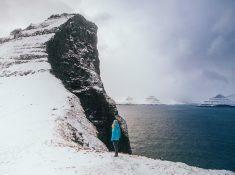 I’m so curious about this island and can’t wait to visit it! Oh Japan… To think that I was only one train ride away from Okayama (when I was in Kyoto, and Tokyo, and Osaka…) Japan really is frustratingly large and full of interesting places! Beautiful photos! 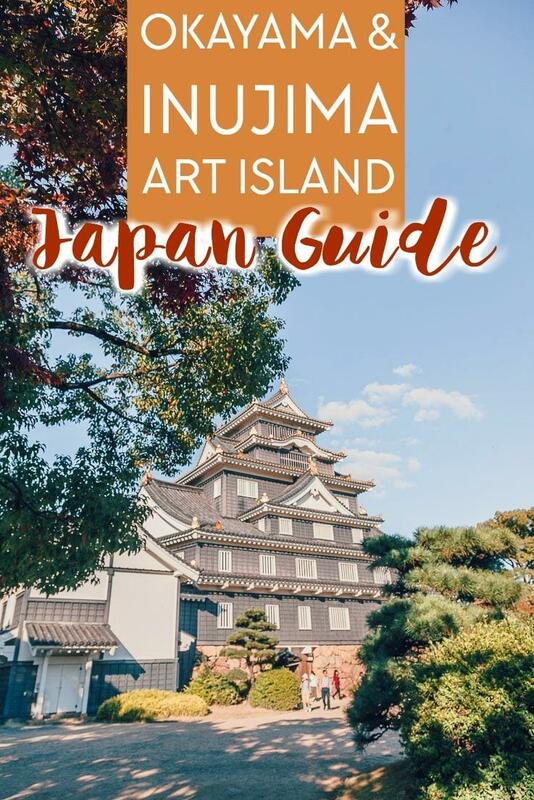 I had never heard of art islands, but it looks like something I would really like 🙂 If I ever plan I trip to Japan I should really try to add it to my itinerary!